Chromebooks are light and portable laptops that are powered by Google's Chrome OS instead of Microsoft Windows. ​ These laptops cannot run programmes available for Windows computers. The search giant Google announced the launch on its India blog, "Starting today, people in India have more hassle-free options with the launch of the Samsung Chromebook... In addition to giving you more Chromebook options, we're also announcing more store locations. The entire range of Chromebooks will now be available from select Reliance Digital and Croma stores in five more cities — Pune, Hyderabad, Chennai, Kolkata and Bangalore — in addition to Mumbai and Delhi." Google has partnered with Tikona and Airtel to provide a range of cellular and broadband offers. 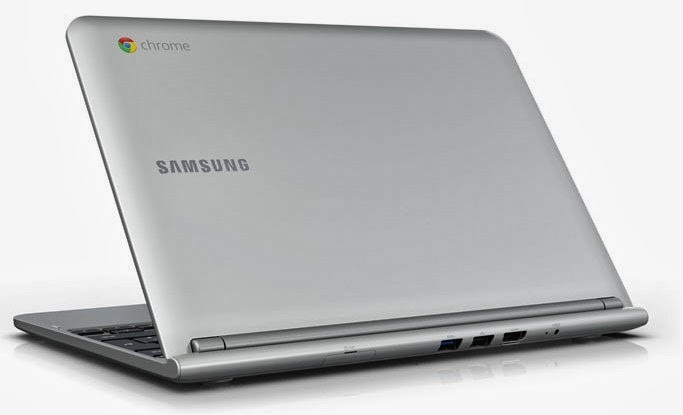 Samsung Chromebook features a 11.6-inch display with a resolution of 1366x768p and runs on 1.7GHz Exynos 5 dualcore processor. The Chromebook packs 2GB of RAM, 16GB of Solid State Drive (SSD), weighs 1.1kg and offers over six hours of battery life. Like all other Chromebooks, Samsung version too comes with 100GB of free Google Drive storage. Acer C720 is powered by Intel Celeron 2955U processor based on Haswell architecture. It has a 11.6-inch screen and weighs 1.25kg. It has 2GB RAM and 16GB SSD for storage. The laptop claims to offer a battery life of over 8.5 hours.